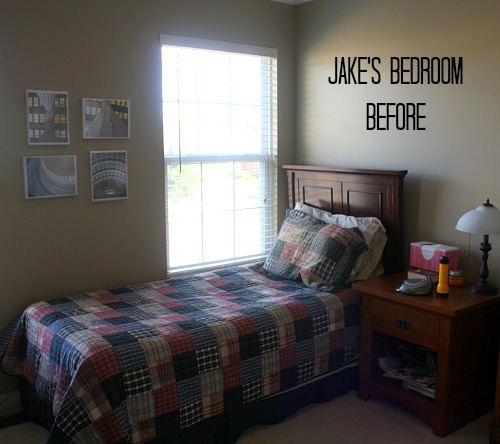 Thought you’d like an update on the makeover we’re giving our son’s bedroom. 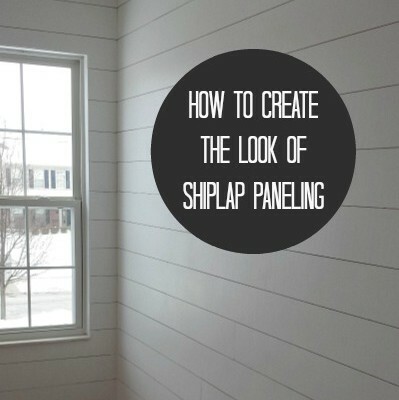 Last week I showed you how we hung (fake) shiplap paneling on the walls and painted it white. Since then the new hardwood floors, baseboard, and trim around the windows and doors has been installed, so we’re making progress! I love it. 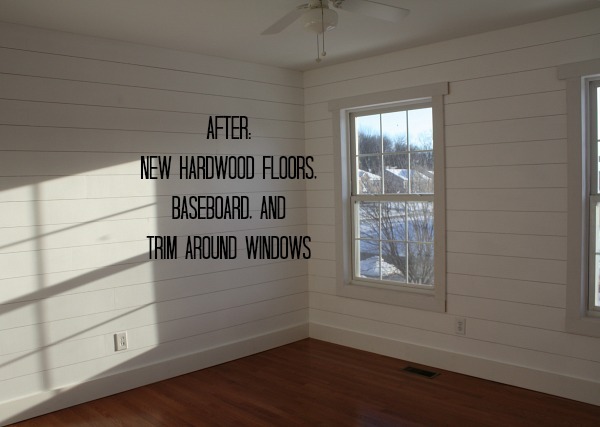 After the floors were installed, Dave totally redid all the baseboard and trim around the windows and doors to make it look more cabin-cottage-Craftsman-like. He no longer needed the desk (he has a bigger one in the basement he uses), so it’s not coming back. 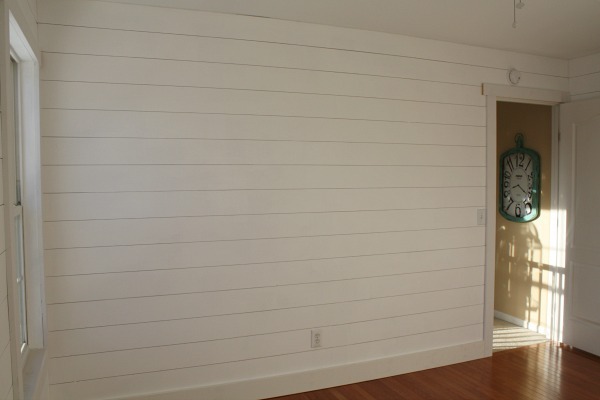 The new Queen-size bed will go on this wall instead, which will help the space double as a guest room when he’s at college. 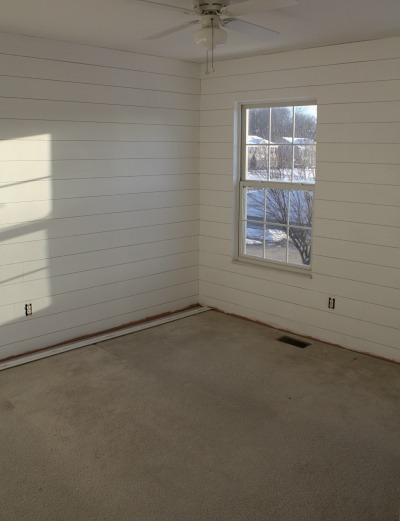 Also, I think I forgot to mention it in my last post, but we had to take the crown molding down that was in the room and redo the ceilings (sand, patch, repaint). Huge pain. But it just wasn’t going to work with the new walls. It’s a challenge to get decent photos of a room this small — it’s only about 11′ x 12′ and that closet juts out into the room. The windows look so much better with trim around them, too. I bought some curtains for the room, but now that I’ve seen the trim, I don’t think I’ll be able to cover it up! 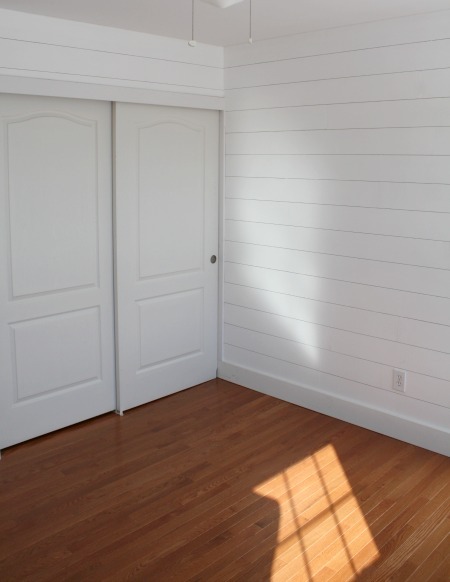 The floors are Bruce Hardwood “Gunstock Oak,” which is what the builder installed in other rooms. We eventually want to put hardwood in the hall, which will run down the stairs to meet the floors in the foyer, and we wanted it all to match. 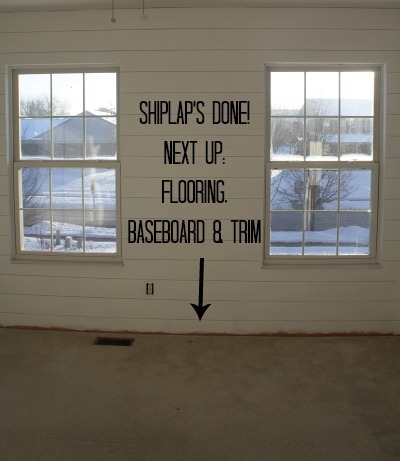 If you missed my original post about the room, you can see how we created the look of shiplap on a tight budget here. 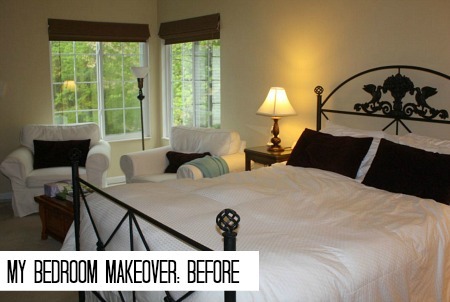 What a huge transformation! 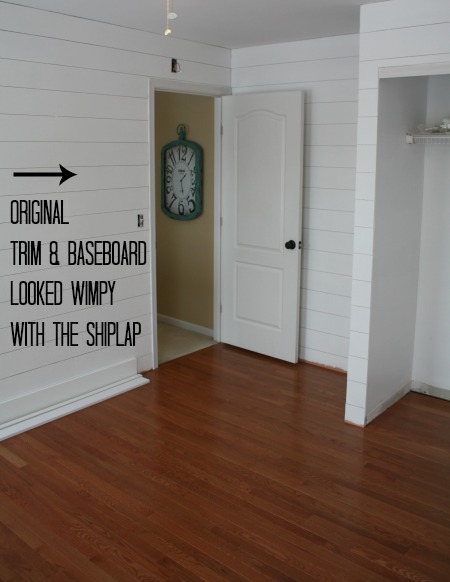 I love the shiplap, but you were definitely right to go for the wood floors and new trim. 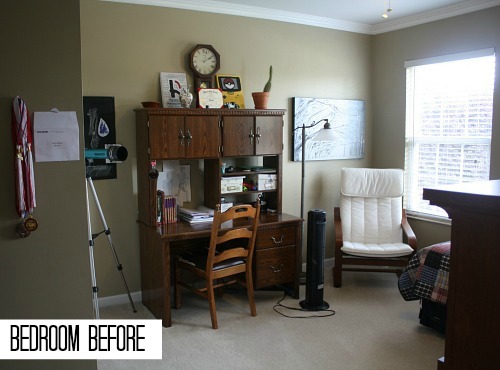 Looks like a completely different room. So much character. I can’t wait to see it finished. After all that hard work you must be so proud and happy with the finished results. Looks fantastic! 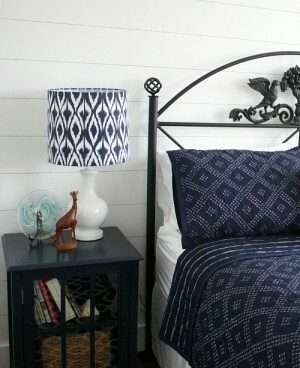 Not sure what final look your son was going with but I could see this room going the ‘nautical’ route. Julia, that room turned out great. Maybe you should trade Jake and make that your office! 😉 Will he help you decide what goes back in the room or is he giving you a free hand? 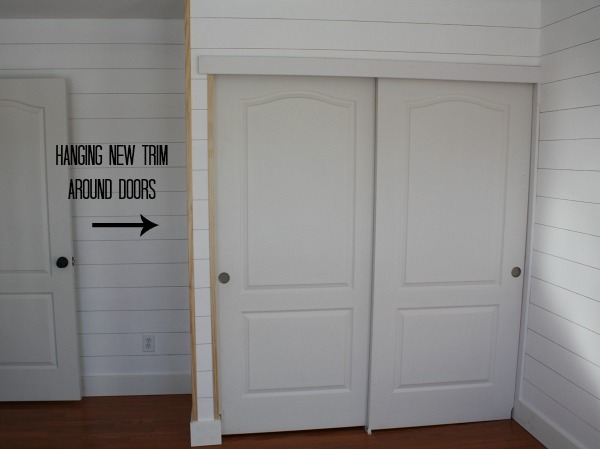 Now I want to paint those closet doors a bold, dark color to give them that funky vintage vibe the rest of the room has. What fun! It looks like it’s all coming together. 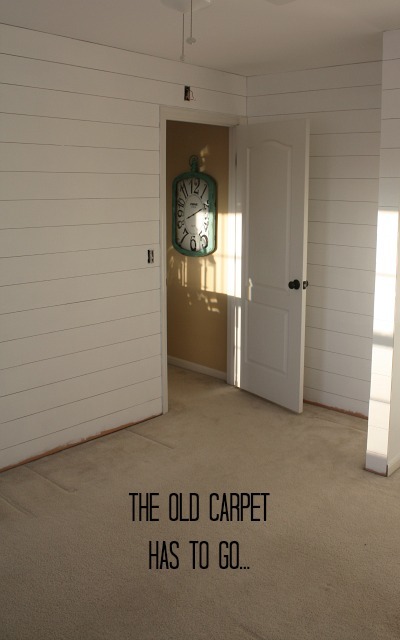 The wood floors make a huge difference. Looks great! 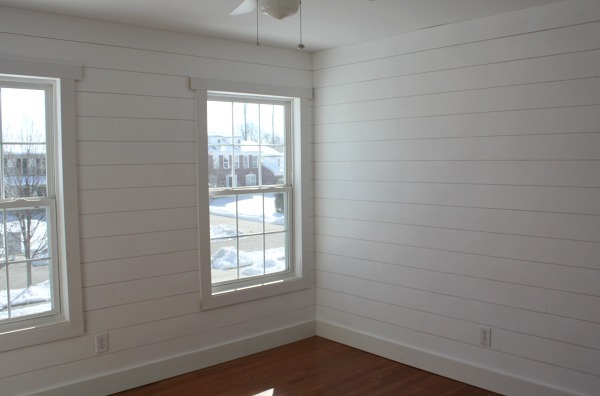 My wife and I thought the same thing about the window trim that I installed in our tiny cottage, it was too nice to cover up, so she inset the curtains with tension rods instead. Okay I signed up. But I don’t know how to access the private blog? I am glad to see how good it is going to look. The room looks great! I’d love to get Chip and Joanna’s show in Oz but hookedonhouses will always be my favourite. What a difference the new trim makes around the windows, doors, etc. Looks great and definitely has a more finished look. It all looks very authentic and the floors really add to that. I agree with you about curtains–I would opt for a roman shade. But, I’m sure with your design sense you’ve already thought of that. 🙂 Great job! Love the new walls but the new trim all round really makes it impressive. Such a (relatively) small task for such improvement. The trim’s looking great! 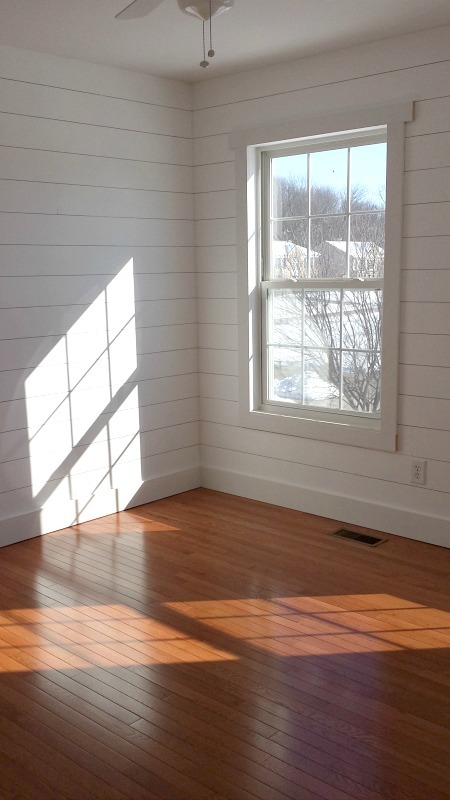 White stained wooden venetian blinds might be nice. This is a wail/rant that requires no response. Just wanted to get it out there – I am married to an intellectual who “lives in his head” and doesn’t notice his surroundings. When I CAN get him to look around our 1980s builder grade house, he says “It works, it isn’t broken, it doesn’t need to be replaced/updated/changed.” We’ve only been married 2 years and I’ve NEVER EVER lived in an ugly place, until now.